If you’re a homeowner, chances are you have tile in at least one area of your home. When tiles are damaged, many homeowners assume that they need to replace their entire surface, not realizing that tile repair is a great option. The Grout Medic specializes in all things tile-related, and expert repair is just one of the many services we offer. We also have the skills to keep your surfaces looking and functioning great for years to come! Read on to learn more about what The Grout Medic has to offer. If you love your beautiful tile surface, nothing can be more frustrating than unsightly cracks or loose pieces. The Grout Medic can help with both of these problems! Our tile repair experts can identify and re-grout loose tiles, helping your design look great for years and years. If you’re dealing with cracked tiles, we can help with that too! We can remove broken tiles and replace them strategically, so you don’t need to worry about losing your beautiful tile design. Best of all, there’s no need to worry about mismatched colors – our experts can ensure that your new tile will blend in seamlessly with the old. 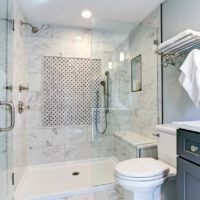 If your shower or bathroom features tile designs, they require special care to protect them from water damage. For instance, it’s imperative that homeowners take the time to ensure that their tub or shower is properly caulked. Caulk is a rubbery substance that seals your shower or tub off from the wall, which makes sure not a single drop of water can penetrate cracks to get to the wall behind. Caulk dries out after a few years, so it’s important that homeowners regularly inspect it and replace it when necessary. Dried out or ineffective caulk can lead to water leaks, which can lead to damage and mold behind the tiles. Problems like these can mean that entire tiled walls need to be replaced! The Grout Medic knows how to expertly inspect and reapply caulk in your bathroom, ensuring that your shower or tub won’t cause water damage to your tile surfaces. Another way to prevent future tile repair is to properly color seal your tile surfaces now. The key to enjoying beautiful tiles for years to come is to effectively care for the grout. As a porous surface, grout can easily soak up all kinds of bacteria and stains, leading to an overall dirty appearance as well as an unstable home for tiles. Color sealing means applying a clear coat to your grout, making it less porous, and thus less susceptible to damage. It also makes grout easier to clean and harder to stain! When it comes to tile repair, a great preventative measure is to color seal your grout. Whether you’re looking for tile repair services right now or are researching ways to care for your tile surfaces, The Grout Medic can help! Explore our website to learn more about the services we have to offer.